Two series of work by Karen Savage evoke the female persona through the dainty accessories of women. Her black-and-white series silhouettes the white-threaded webs of lace gloves against a rich black background. 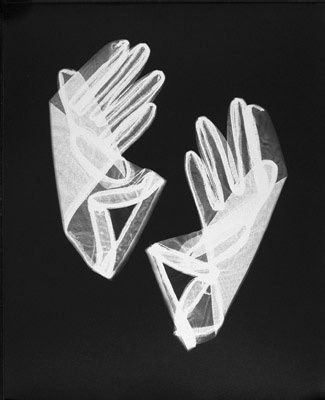 The prints have the minimal structure of an x-ray and a feeling of scientific detachment. Her color series, however, emphasizes the role of accessories as a personal extension of their owners, and as such feel far more personal and even nostalgic. Stained, faded, frayed, or simply thin with use, old hand-embroidered handkerchiefs are displayed against a plain white background. 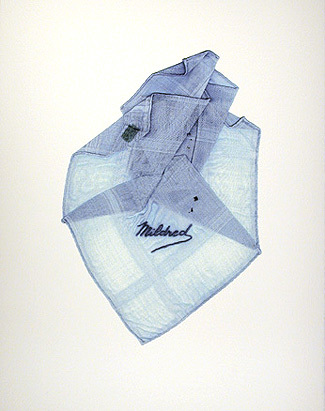 Some bear particular women’s names and in assorted scripts and colored threads many spell out “Mother.” Loosely folded, the stitching at the borders shows through from under the layers of folded cloth, evidencing the delicacy of the aging fabric. 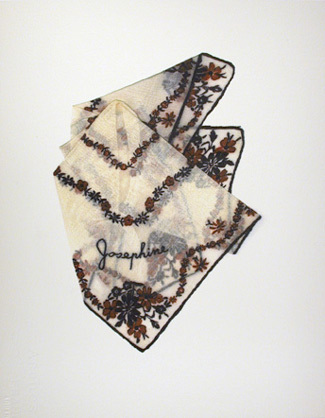 While one can imagine the lace gloves transforming the women who wore them, as costuming for the performance of an identity, it is easy to see how the customized and well-worn handkerchiefs reflect the individual personalities of each owner. Savage earned her BFA and MFA (1970, 1972) from The School of the Art Institute of Chicago, where she currently teaches printmaking and photography. She has had solo exhibitions at Parc Naturel Regional du Pilat, Veranne, France; La Serre, Ecole Regionale des Beaux Arts de St. Etienne, France; the University of Arkansas, Fayetteville; and Printworks Gallery, Chicago. 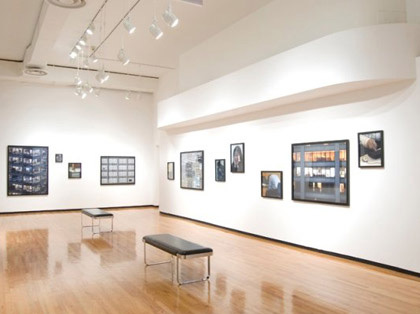 She is a two-time Illinois Arts Council grant recipient with work in the collections of Musée d’Art Moderne de Saint Etienne, France; The Art Institute of Chicago; The Visual Studies Workshop, Research Center, Rochester, New York; and The Cranbrook Museum of Art, Bloomfield Hills, Michigan.